Valve’s Half-Life 2 and Portal have been ported to Android but don’t get excited just yet because you’ll need an Nvidia Shield to participate. That’s right, only Nvidia’s handheld gaming system is compatible with the titles – even other platforms running a Tegra 4 SoC need not apply. Whether or not the limitation is a good thing or not depends on who you ask. As the gang over at Android Police point out, you’ll get the best experience out of both of these games using a proper controller. A third-party controller for a smartphone would be an option but let’s face it, most people are casual gamers and would stick to on-screen controls. In that scenario, the overall experience would likely suffer. An Android port for Portal was first teased about two months ago although Half-Life 2 rumors just surfaced last week. It’s not a huge surprise to see the second title crop up so quickly as both run an older version of Valve’s Source engine. So, are the titles worth checking out if you happen to own a Shield? According to the publication, the answer is a resounding yes. Which game you pick (if you are deciding between the two) will ultimately depend on the type of gameplay you’re after. 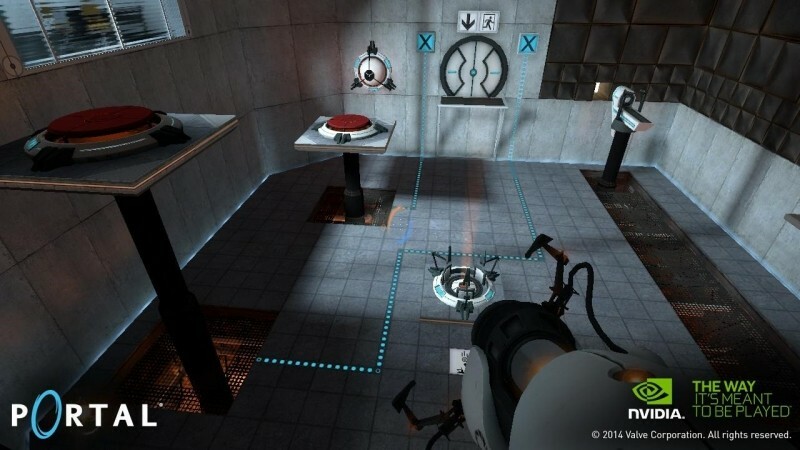 Portal is a modern day physics puzzle game that relies more on skill and thought than true run-and-gun tactics. Half-Life 2, meanwhile, is packed full of action with a lengthy single-player campaign and an iconic storyline. Each game retails for $10 in the Google Play Store and it’s also worth pointing out that the Shield recently went on sale for $199. Coincidence?